"A lenient view and misplaced sympathy" was uncalled for with such incidents on the rise, Additional Sessions Judge Ajay Kumar Kuhar said recently while refusing to release the 21-year-old convict on probation. 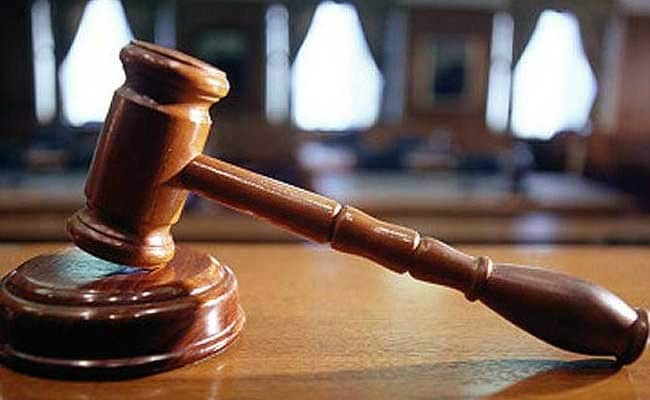 New Delhi: The threat of acid being thrown on her face is "sufficient to send shivers" down a woman's spine, a Delhi court observed while refusing to quash the jail term of a stalker who attempted to browbeat a young woman into marrying him. The court, which was hearing the appeal of convict Saddam against his conviction and sentence, however, reduced his sentence from two years to one-year rigorous imprisonment considering he was a first time offender. "I am of the view that the benevolent provisions of Probation of Offenders Act, 1958 cannot be extended to the appellant in view of the evidence on record. Not only has he outraged the modesty of the complainant, due to his stalking, the complainant had to leave her school education as well and she is pursuing her studies privately," the judge said. In addition to that, the threat of throwing acid on the face of complainant by itself is sufficient to sent shivers down the spine of a women, he added. "In the present societal conditions, where the incidents of acid throw, eve teasing and stalking of woman are increasing day by day, a lenient view and misplaced sympathy is not called for," he observed. The court noted that his actions would cause inconvenience and embarrassment to any woman and would amount to outraging her modesty. According to the prosecution, on June 10, 2016, the complainant was going to the market in south-east Delhi with her aunt when Saddam held her hand and threatened to throw acid on her face if she did not marry him. He was arrested following her complaint. The magisterial court on March 17, 2017 held him guilty of offences under section 354D (stalking) and 506 (criminal intimidation) of the IPC and sentenced him to two years in jail. Challenging the verdict, the convict said the magisterial court overlooked that he was falsely implicated by the woman due to a family dispute. The sessions court upheld the conviction but reduced the sentence considering his clean antecedents. "It is not a single incident when the appellant had followed the victim. The evidence on record clearly indicates and established that he has been following the complainant since long and even the schooling of complainant was affected on account of stalking of appellant/accused," it said. It also relied on the testimonies of the victim and her aunt and said they proved that the man had been stalking her though she did not pay any heed to his advances. "Thus, the offences alleged against the appellant/accused have been proved beyond reasonable doubt and as such the judgment of conviction against appellant is found apt and accurate in the light of the evidence on record," it said.